Every night (or in the twilight hours of the morning) slots players go to sleep with the hopes of dreaming of the land of free spins. It is a place of wonder and mystery where the slot machine arm moves on it’s own to hand over the money it holds. It’s just like, “Hey there, take this free money before the boss finds out.” But what if I told you that you could invoke the cosmic rapture of bonus round spin without actually having to wager any of your hard-earned dollars? What if I told you that you could sit down at a Silver Oak slot machine, free of any risk, directly into a bonus round? Go ahead and pinch yourself. You are not dreaming my friend. The land of free spins is real so long as you believe—well, that and you have a free spin bonus code from Silver Oak Casino. It means you’re getting a casino punch of awesome to the face. We’re not talking demo mode; we’re talking live play here. We’re talking credits engaged. If you win, that money is yours, my friend. Think of the no-deposit free spin(s) as a no-deposit bonus code where instead of being given money to play with, you are being giving the opportunity to play, in which you might win the money that would be otherwise afforded through a no-deposit bonus. 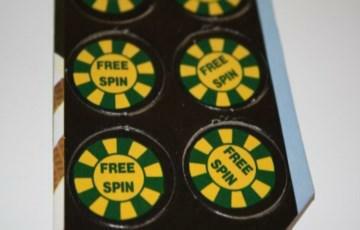 If that sounds complicated just remember this: you’re getting free spins without paying. I could just end the blog here by telling you to head on over to our Promotions Page where you can find every sort of bonus imaginable, but there is much more to talk about my friend. So much more. Generally, you will be given a casino coupon code for a particular game, as free spin bonuses are used to promote new and exciting games that we feel are particularly worthwhile. Always check out Promotions Page, however, as we have slots bonuses for all sorts of games ranging from time-tested classics to the new and most exciting immersions into the world of modern slots. “I am new to this. What do you mean “No-deposit”? Put simply, “no-deposit” refers to bonuses that do not require a real money deposit. It does not mean the casino does not accept any deposits. Quite the contrary with Silver Oak. Every day we accept a leading number of deposits, and so we enjoy and feel obligated to give back to our loyal customer base. The last thing to know is that 2013 has already turned into “the year of the no-deposit bonus,” and these upward trends of interest show no sign of slowing down. Silver Oak doesn’t take credit for the invention, but surely for the proliferation of this awesome approach to casino bonuses. We were amongst the first to adopt this strategy which means we have gone on to perfect it. There are bonus spin codes for every time of a game you can imagine. Plus, there’s no contracts, wait periods, annoying emails, or anything like that. Give our free spins a spin!